Guests Will Enjoy This Fun Christmas Design! This Package Contains A 7 Count Plastic Canvas, Acrylic Yarn, Trims, Needle And Instructions. 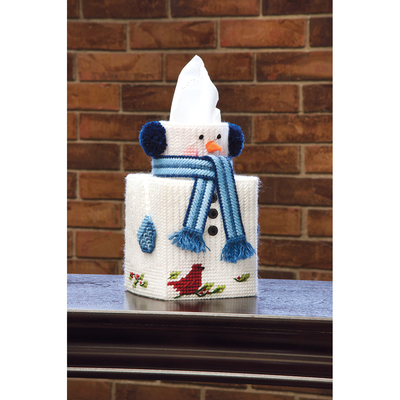 Design Size: 5 Inch Tissue Box. Design: Snowman. Made In Usa.